Why is Fire Safety Training Important? Fires destroy property, cause injuries, and take lives. A fire in the workplace can also mean the termination of jobs, as many of the offices and factories destroyed by fire in Canada are never rebuilt. One of the key strategies to maintaining a safe workplace and preventing fires is fire safety training. With proper training workers can eliminate fire hazards and respond quickly and efficiently if a fire breaks out. Without proper training a small occurrence can quickly grow to become a major incident with devastating outcomes. Everyone is at risk if there is a fire. However, there are some workers who may be at greater risk because of when or where they work, or because they’re not familiar with the premises or the equipment at the work site. 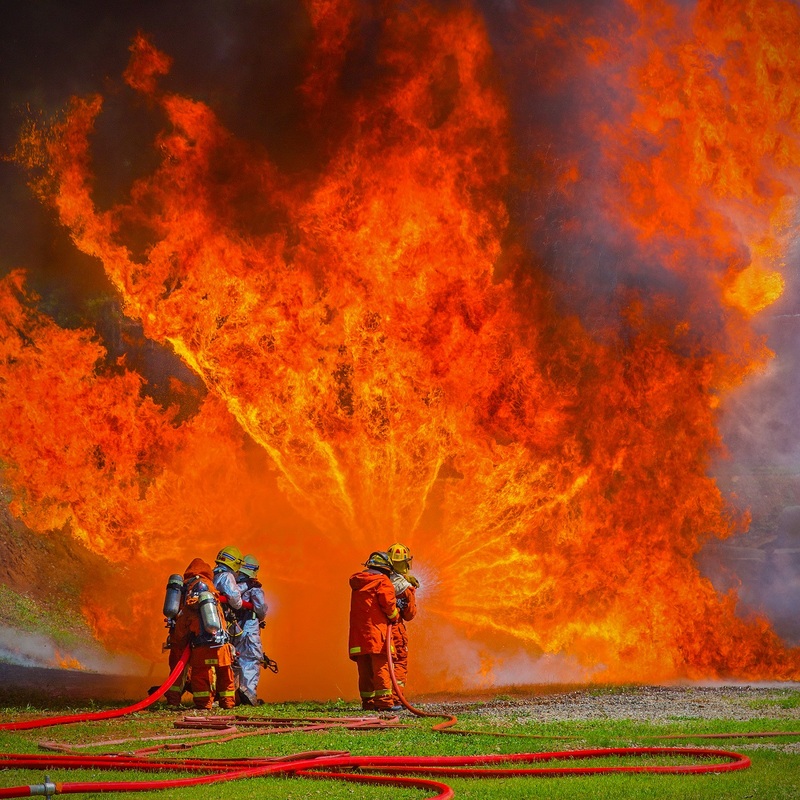 Fire safety training can teach workers how to recognize fire hazards, conduct a fire safety risk assessment, prevent a workplace fire, and respond if a fire occurs. Fire safety training begins by identifying the basic properties of fire. All fires start when heat (a source of ignition) comes into contact with fuel (anything that burns) and oxygen is present. To prevent a fire the goal is to keep sources of ignition and fuel apart. A fire safety risk assessment is the first step in identifying fire hazards. It also identifies the people at risk, state of emergency preparedness, and effectiveness of controls in the workplace. With the information from the risk assessment employers can make improvements in their fire safety plans and eliminate or reduce risks. Employers can also ensure appropriate training is provided to workers. Fire safety training teaches workers how to prevent fires. If workers are aware of the best ways to prevent fires, they can contribute significantly to a safer workplace. Keep the workplace clean. Common litter and construction debris act as fuel for fire. Clutter may block access to exits and emergency equipment. Smoke only in designated areas and extinguish smoking materials safely. Never smoke in storerooms or chemical storage areas. Mark hazards and potential fire risks with clear, visible signage. Post emergency telephone numbers and the company address by the telephone in all work areas. Keep machinery cleaned and properly lubricated to prevent overheating and friction sparks. Place oily rags in a covered metal container. This waste must be properly disposed of on a regular basis. Have faulty wiring and malfunctioning electrical equipment repaired promptly. Never attempt electrical repairs unless you are qualified and authorized. Avoid running electrical cords or wires under rugs and carpets or near a heat source; keep them out of doorways where they can become worn. Maintain open access to all electrical control panels. Material or equipment stored in front of the panels could delay power shutdowns in emergency situations. Use and store chemicals safely. Read the labels and the Material Safety Data Sheets (MSDS) to learn about flammability and other fire hazards. Provide adequate ventilation when using and storing these substances. 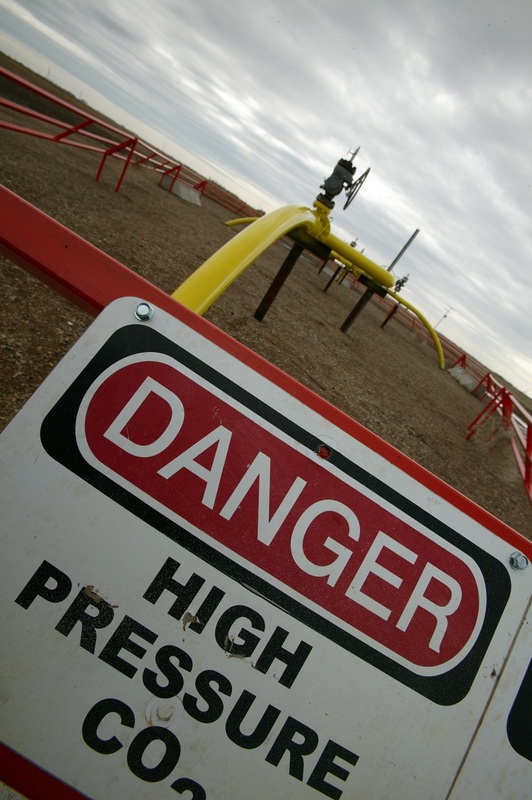 Be aware of possible ignition sources when working in potentially explosive atmospheres, such as those containing flammable liquid vapours or fine particles (e.g. vehicle paint spraying or grain flour). Use non-sparking tools and control static electricity as required. Never block sprinklers, firefighting equipment, or emergency exits. Observe clearances when stacking materials. Learn how to properly use a fire extinguisher. Know where fire extinguishers are located and which extinguishers to use for the specific type of fire. It’s important that everyone in the workplace is prepared for a fire. Workers need to know what to do in case a fire occurs and how to work together to effectively stop the advance of a fire. Workers and employers need to take fire drills seriously and learn from them to improve response. By practicing what to do in a fire, flaws in the emergency plan can be revealed and those faults can then be addressed. Practice also builds confidence and helps keep everyone calm in the event of a real fire. Most workplaces contain portable fire extinguishers. Fire extinguishers can only put out small, contained fires, such as a fire in a wastebasket. 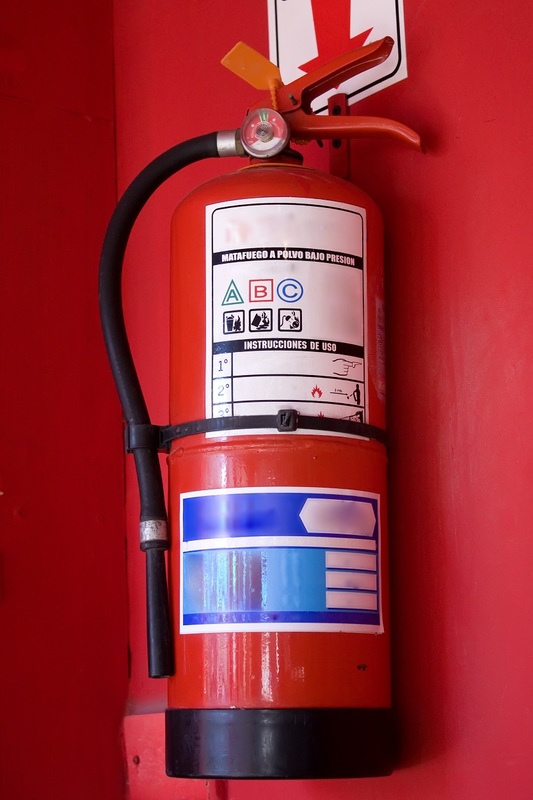 Extinguishers in different workplaces may or may not be suitable for dealing with grease or electrical fires. Workers that haven’t received training in the proper use of portable extinguishers should not attempt to fight a fire. Everyone is responsible for preventing fires in the workplace – employers and employees alike. In addition to possible injury and loss of life, a serious fire can close down a workplace resulting in significant job losses. It is possible to reduce the threat of fire to people and property by teaching everyone to work together to prevent fires with comprehensive fire safety training. Explore the fundamentals of firefighting and fire extinguisher safety in the ASTEC Safety online course.